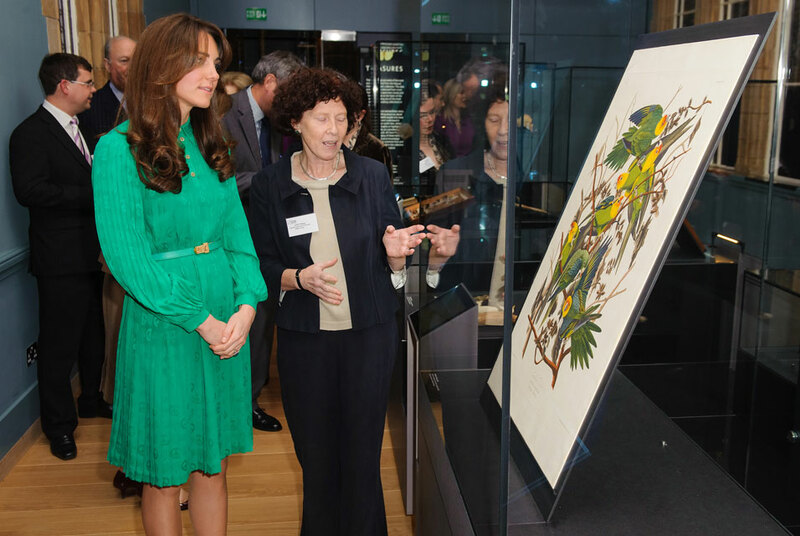 LONDON.- Britains Catherine, Duchess of Cambridge (L) views a plate from Audubons Birds of America alongside Special Collections Manager Judith Magee (R) during a visit to officially open the new Treasures Gallery at the Natural History Museum in central London on November 27, 2012. Treasures is a permanent gallery in the museums Central Hall and will showcase 22 extraordinary objects from the museums history, selected for their scientific, cultural and historical worth. AFP PHOTO / POOL / DOMINIC LIPINSKI.